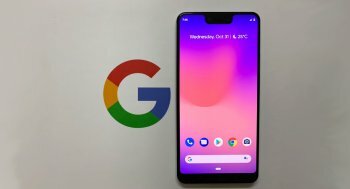 The Google Pixel 3 XL is another best camera phone that was unveiled alongside the Pixel 3 on Thursday 18 October, 2018 which happens to be the last quarter of this year. Having read about the Pixel 3 in my last post, the Google Pixel 3 XL isn’t that far from it except that it does seem to have wider screen and a much noticeable but distractive notch at the top. Aside having wider display and a notch, the Google Pixel 3 XL also have a long-lasting battery and a camera that is one of a kind. In fact the camera outsmart the competition. In Nigeria, The Google Pixel 3 XL price starts at ₦380,000. It is available in Clear white, Just Black and Pinkish Not pink with fresh mint-color on the power button. 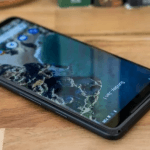 The Google Pixel 3 XL has a well-structured design that looks quite different from the Pixel 2 XL, this is because of the noticeable notch at the top and the bigger screen size it’s carrying. 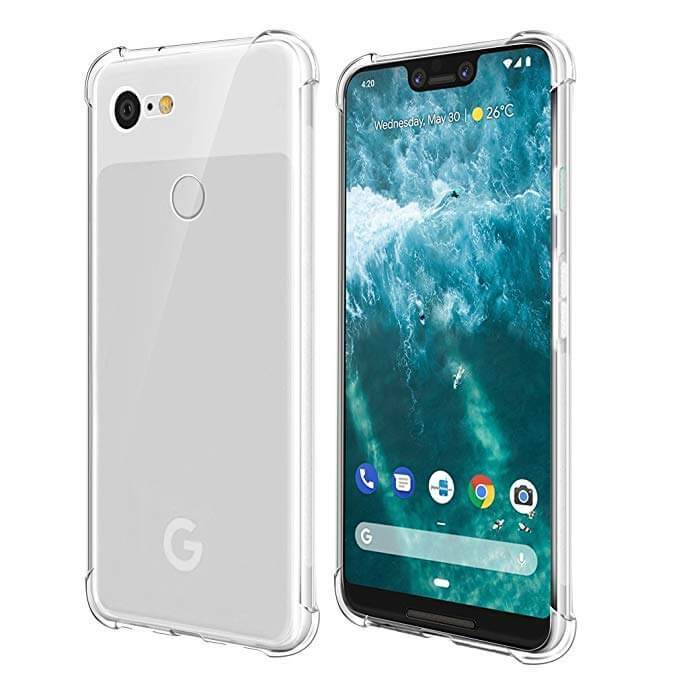 The Google Pixel 3 XL now have a body that is made of glass, In between those glass is an aluminum frame with round and shiny edges. In front is a corning gorilla glass 5 that is acting as a guide for the rich OLED display.At the back is a shiny glass that sits at the very top while the remaining part have matte glass finish. The all glass design on the Google Pixel 3 XL makes it look rich, it however has some good benefits especially with wireless charging and better network signal in Nigeria. 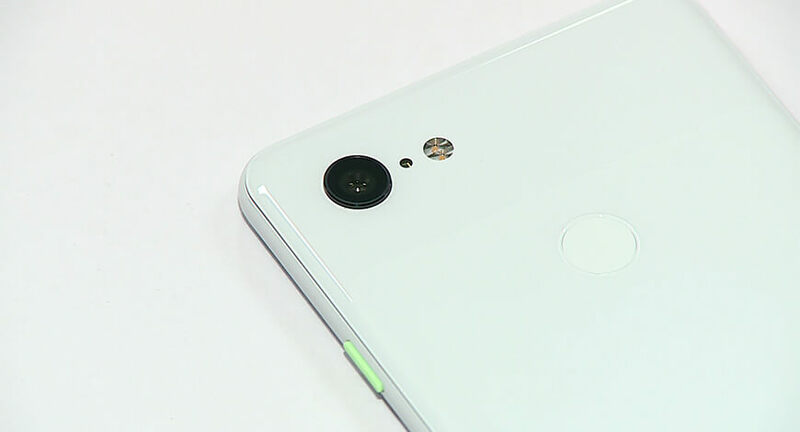 The Google Pixel 3 XL also have dual front-facing speakers, fingerprint reader and Active Edge to trigger Google assistant, it however has no micro SD card slot nor headphone jack. 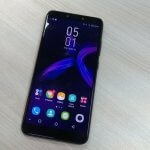 On the display is a 6.3 inch OLED color rich display with a notch that does appear too forward than usual. Many android users in Nigeria didn’t like the idea of putting a notch on the Pixel 3 XL. To some, the presence of the notch made the phone look really ugly, others were of the opinion that it wasn’t necessary at all. I think the Pixel 3 XL would look a little finer if it had a smaller notch. With or without notch, the Google Pixel 3 XL still makes sense but should in case you hate seeing that notch, you can easily take it off by adjusting the settings. The huge 6.3 inch OLED display on the Google Pixel 3 XL also boost an 18.5:9 aspect ratio, has a QHD+ resolution with HDR support. The Google Pixel 3 Xl also feature an 83% screen to body ratio which now give room for more display. With the notch at the center, the battery, time and other notification icons can now sit conveniently at both side of the topmost part of the display. The camera is the most attractive feature of the Google Pixel 3 XL in Nigeria. This is because the Google Pixel 3 XL is said to have the best camera on a smartphone. The Google Pixel 3 XL boost a 12.2MP rear and an 8MP dual front-facing cameras that produce photos you can hardly belief came from a smartphone in Nigeria. The consistency in the camera is number one major factor that distinguish the Google Pixel 3 XL Camera from competition period. The another big secrets behind the success of the camera on the Pixel 3 XL are Google’s dedicated visual core chip and machine learning software. The selfie cameras have a frame of 75 degree field of view and 97 degree field of view with better HDR and less noise, there is also wide angle on the selfie cameras. The camera app on the Google Pixel 3 XL is very simplistic, it has some awesome app options like Top shots and super res zoom. There are also more camera features that would come via software update. If the battery life on the Pixel 3 got you a little bit worried in Nigeria, the battery life on the Pixel 3 XL is very much preferable. The Google Pixel 3 XL boost a 3430mAh battery size that can last a day and half on moderate usage. 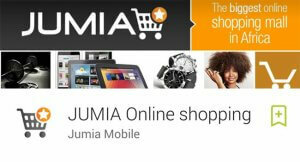 These two new features help save more power shutdown power consuming apps you don’t use in Nigeria. The Google Pixel 3 XL does this by reducing the pixel counts from QHD+ to Full HD+. 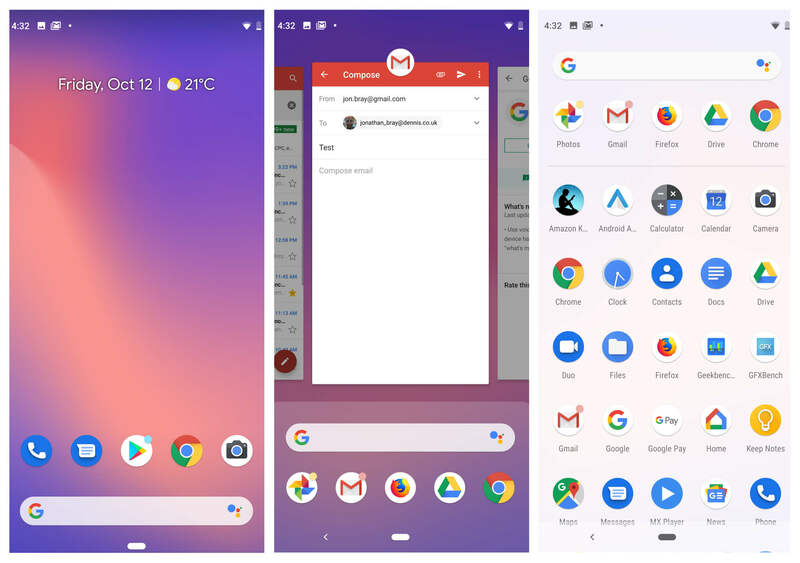 The Google Pixel 3 XL is stock android, it runs on Google’s latest Android 9.0 pie OS, you get to have a first-hand feel of how Google actual designed her UI for Android users. With the new OS on board, a lot have change with regards to user experience so be ready to learn some new gestures, do more swipes and taps as you move around. 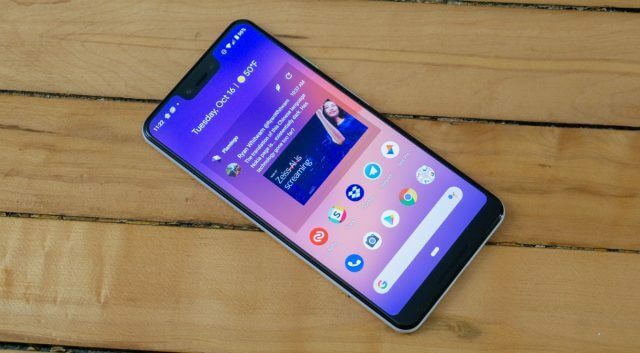 The Google Pixel 3 XL is also expected to get some more software feature that would ship in via software updates later next year. The Google Pixel 3 XL also have face ID and fingerprint scanner as expected, it does run well on Snapdragon 845 chipset. It also comes with 4GB RAM and 64GB or 128GB ROM configuration which cannot be expandable via micro SD card. The Google Pixel 3 is currently the best choice for those who don’t want any distraction with camera but rather prefer seeing great photos consistently. Now that the Google Pixel 3 XL cost more for most people in Nigeria, am pretty sure many would only wanna buy this phone if it does solve a need. 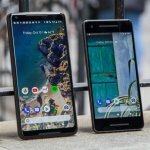 The Google Pixel 3 XL is however not perfect, it does have a few downsides. The absence of our favorite 3.5m headphone jack we are very much addicted to using here in Nigeria, Google however responded by putting a USB-C earbud inside the box to alternate with. Also the chipset seem a little outdated, when Apple phones are running on faster chips like A12 bionic chip, Google is still dancing with snapdragon 845 on her new flagships. Finally the absence of a micro SD card slot means the storage is not expandable, I strongly advice you go for the 128GB storage option.